My first post here asking something, hope I don't look dumb. When I look to a oiran hair i think... WOW, how they gat that bow-like hair? if I follow part of that, maybe i can get that oiran hairstyle, but how to do that bow behind?? She used a katsura/ wig in this case, because it was a lot simpler than using the real hair and she could style it as she wished without trying to do it on her own head. Also, a katsura has a LOT more hair than most people. It turned out incredible, check it out! Instead of an Oiran, you could play a Tomosode Shinzo at first. It's a step down from the Oiran, but it has the feeling you want, and it's easier to pull off. So, while you work on the Oiran look, this is a good place to start. 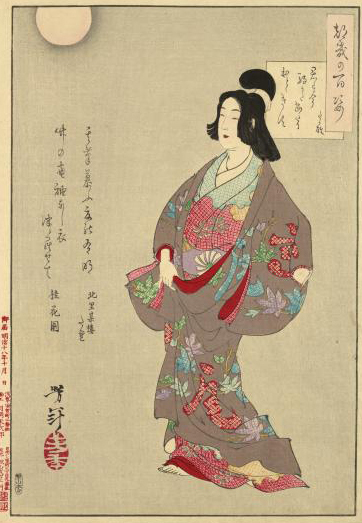 So, this could be a good place to start while you work on your full Oiran look. Fuyou, thank you about the information! I want to learn more and more about oiran, the correct terms and ranks also. I will start with this rank, hope I can take pics soon as possible! I found the word Koshi-joro, is the same of Tomosode Shinzo? Sorry to ask a lot about oiran stuff, i really enjoy it! does anyone have any idea how hold out the hair bow? im making a slightly scaled down version of an oiran hairstyle with a wig and im a little stuck. I am working on a complete tayuu outfit right now. I have all the kimonos and obi I need and I have some one to make the koma geta for me. I lost my job and do not have the money to get all the kanzashi I want or an old katsura to remake in to this hair style. I do, however, have vary long dark hair and just enuff hair pins to do this. I was wondering if any one knew any thing about this kind of hair style and when it was worn and for what events/time of year. i want to say looks like the 1600's . during the early shogun times. of course i say this as i just watched that mini series and right now everything looks like that time for me. I am attempting to make my outfit as acuret as I possibly can. I was planing on doing a Tayuu as I have obi I can use for it. I already have a few of the kanzashi I need. I had planed to get and old beat up katsura on e-bay and rework it. But then I saw this and thought it was a good idea until I could get a wig to work with. She has the same obi right? Then I start seeing Tayuu/Oiran with other hair and mixed kanzashi. I first I thought thay must be ignorant henshin so I ignored it. After a wile I found old post cards and prints of REAL Tayuu/Oiran with the mixed hair and what not. So now I am confused I can't tell a Tayuu from an Oiran any more. As much as I like the long hair down It makes me look almost Haion. I much prefer an up do. I found a pic of what look like a shimada with Tayuu kanzashi but I have no idea how her obi would be tied. I already have a shimada thay is vary close to this and I would like to use it is I can and save the money. I need some help to figer it all out. I am at my wits end.